Xiamen’s first international fruit and vegetable industry fair is scheduled to be held from December 11 to 14 at the Xiamen International Conference and Exhibition Center. Apart from a fresh fruit and vegetable exhibition area, three specialized areas including a means of production area, a cold-chain equipment area and a processing machinery area will be set up to promote the newest and best fruit and vegetable species, and advanced technologies for planting, processing, packaging, and transport. The organizers have contacted Southeast Asian countries, such as the Philippines, Thailand, Indonesia and Malaysia, to set up special halls for exotic fruits and vegetables. 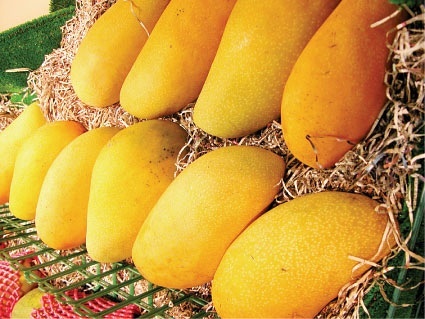 Mangos will be highlighted in a “Mango Festival” during the fair, particularly mangoes from Taiwan, according to the organizers. Data showed imports of Taiwan fruits via Xiamen ports reached 20,000 tons last year, a year-on-year increase of 50 percent, which meant that Xiamen maintained its position as the port with the largest Taiwan fruit imports in mainland China for the seventh consecutive year.